Please visit the park’s website at www.parkscanada.gc.ca/kluane for general information on the park’s natural history, services, fees and backcountry opportunities. A gem in the family of Parks Canada’s national treasures, Kluane National Park and Reserve of Canada covers an area of 21,980 km2 (8490 miles2). It is a land of precipitous high mountains, immense icefields and lush valleys that yield a diverse array of plant and wildlife species and provides for a host of outdoor activities. These parklands are the traditional territories of the Southern Tutchone people. The Champagne and Aishihik First Nations and the Kluane First Nation continue to carry out their traditional activities such as hunting and trapping in the Kluane region. Yukon’s Kluane National Park and Reserve, along with British Columbia’s Tatshenshini Alsek Provincial Park and Alaska’s Wrangell-St. Elias and Glacier Bay National Parks, form the largest international protected area in the world. These parklands are recognized and protected under the UNESCO World Heritage Convention as an outstanding wilderness of global significance. 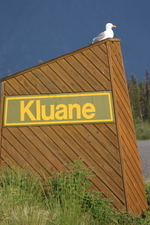 Both the Alaska Highway and Haines highway skirt the boundary of Kluane National Park and Reserve and are open year round. 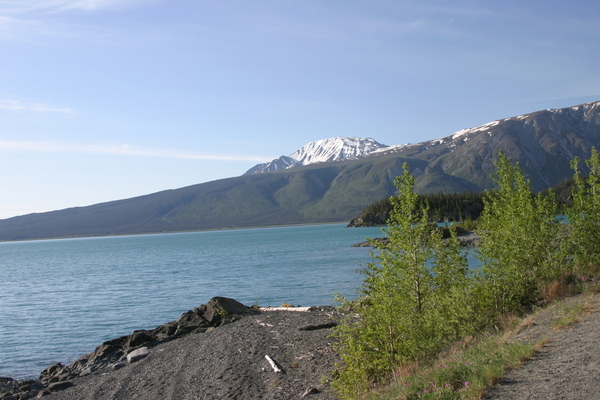 Visitors can reach Haines Junction by driving west from Whitehorse on the Alaska Highway 160 km (100 miles) or north from Haines, Alaska on the Haines Highway 249 km (155 miles). The town of Haines Junction offers all the amenities: restaurants, motels, hotel, grocery store, service stations, bakery, bank and a post office. 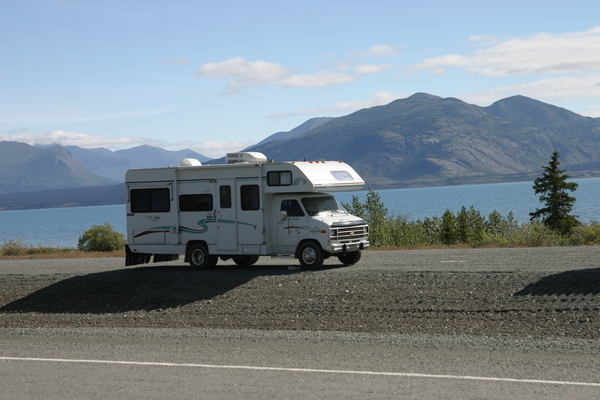 Along the Alaska Highway and the Haines Highway there are service stations, campgrounds, restaurants and motels, some of which are open year-round. The only campground located inside the national park’s boundaries, Kathleen Lake has 39 sites, a scenic day-use area, a boat launch and a kitchen shelter. Motorized boats are permitted on Kathleen Lake and Mush Lake (4-stroke engines only as of 2005). Canoeing possibilities in the park are limited to the major lakes, which should always be treated with caution. Strong winds occur suddenly and without warning. Always stay close to shore as water temperatures are extremely cold. Lake trout, whitefish, northern pike, arctic grayling, kokanee salmon and rainbow trout are all found in the waters of the park. A national park fishing permit is required to fish in the park. Annual, 7-day or 1-day permits can be purchased from the Haines Junction visitor centre, or from some local businesses in the area. 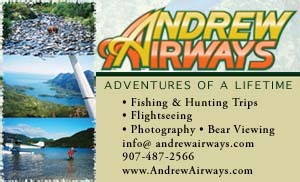 A regular Yukon fishing license is sufficient to fish in any lake located on the east side of the Alaska Highway. Black bears, grizzly bears, coyotes, as well as porcupines and arctic ground squirrels are the mammals most often observed along the Alaska Highway. Raptors are also frequently seen flying above the highway. The lucky traveler might see a beaver, the odd lynx or perhaps a wolf hidden in the greenery by the road. Dall sheep can be observed from the Tachäl Dhäl Visitor Reception Center area, between the end of August and the end of May. Wildlife tends to be more active in early mornings and late evenings. Please avoid disturbing wildlife: try and stay 100m (300 ft) away, never feed wild animals and remember that it is illegal to let your pets chase or molest wildlife. It is a good idea to carry binoculars and a telephoto lens for your camera. When observing bears from the road, stay in your vehicle with the windows closed and the engine running. Park interpreters are available to help you discover Kluane and its rich diversity. Interpretive events will start in June and continue until late August. 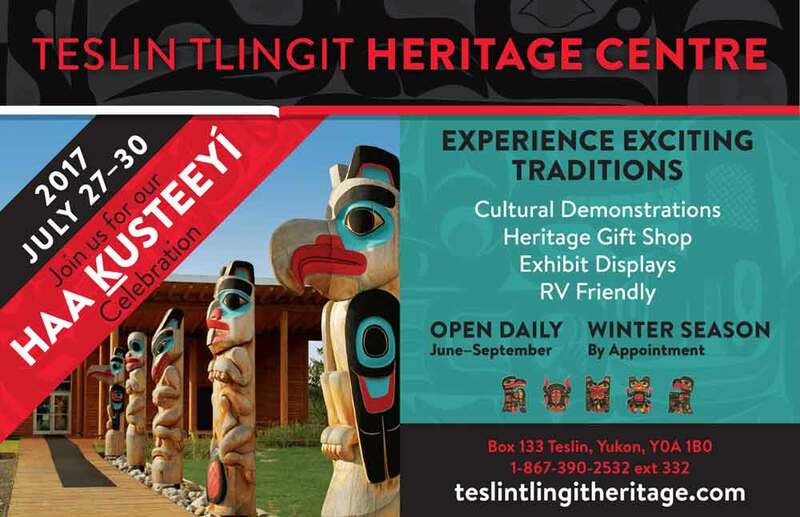 Detailed schedules are available at the Visitor Centres. Programs include campfire talks, interpretive walks and guided hikes. Also, inquire at the Visitor Reception Centres for information on the services offered by the guiding companies operating in the area: overnight hikes, flightseeing, horseback riding, fishing trips or rafting. 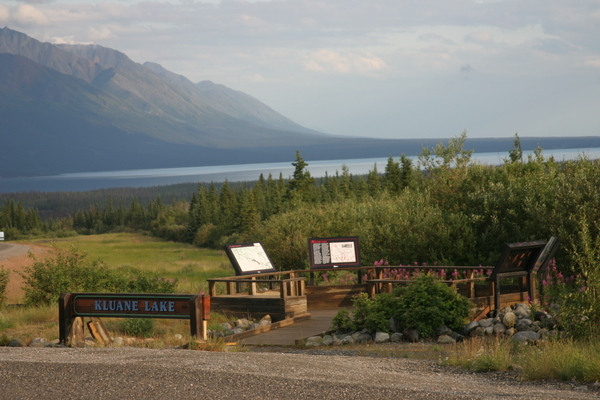 Haines Junction is the primary staging area for activities in Kluane and it is the site of the main park visitor reception centre, which offers a myriad of displays and information. The Sheep Mountain Visitor Centre, located one hour north of Haines Junction along the Alaska Highway on the shores of Kluane Lake, focuses on Kluane’s most abundant large mammal, the Dall sheep. Parks Canada Tachal Dhal Visitor Centre at the south end of Kluane Lake has an interpretive display and spotting scopes set up for viewing the sheep that inhabit the sage-covered slopes of the mountain. The best viewing times are spring and fall.